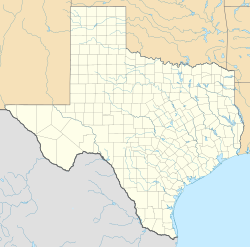 Obra D. Tompkins High School (OTHS) is a high school located in unincorporated Fort Bend County, Texas in Greater Katy, within Greater Houston. It is a part of the Katy Independent School District. Tompkins was created to relieve the overflow of students in the neighboring Seven Lakes High School, which in the 2013-2014 school year had almost 4,000 students. Because of this, Tompkins only had classes for freshmen and sophomores during its inaugural year. The school is named after Obra D. Tompkins, a long-serving educator in the Katy school district. It is located off Falcon Landing Blvd. and Gaston Road at the edge of the Cinco Ranch Line. The school's mascot is the falcon and navy blue, crimson, and white are the school colors. Tompkins is a 610,000 square feet (57,000 m2) facility on a 98-acre (40 ha) plot and has a design almost exactly like Seven Lakes's design. The Tompkins campus may house around 3,000 students. Gilbane Building Co. built the school while PBK Architects designed the school. ^ "TOMPKINS H S". National Center for Education Statistics. Retrieved October 27, 2018. ^ Home. Obra D. Tompkins High School. Retrieved on July 11, 2018. "Obra D. Tompkins High School 4400 Falcon Landing Blvd. Katy, TX 77494"
^ a b Eriksen, Helen (2013-08-20). "Tompkins High School to welcome its first students in Katy ISD". The Katy Rancher at the Houston Chronicle. Retrieved 2013-09-14. This page was last edited on 14 February 2019, at 20:01 (UTC).